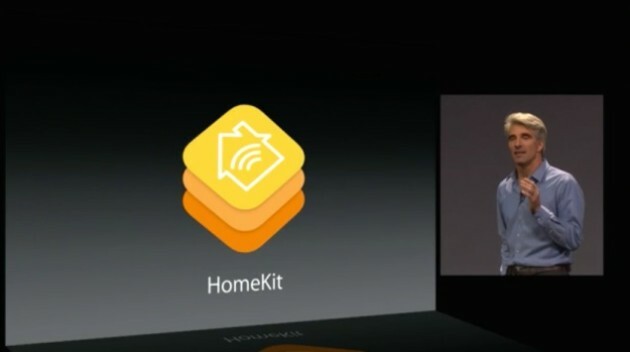 Apple announced a large amount of developer APIs and features at WWDC 2014 yesterday, one of the most exciting being HomeKit. Right now, this is only available to a few smart home developers who partnered with Apple, but in a few months they will unleash the floodgates to hundreds of smart home ideas. This is a move Apple has also made on health and fitness, putting themselves in the middle and having other small networks connected to the hub. The hub will be the iPhone app, allowing the user to set different times like bed, morning and when they leave the house. Instead of going into 10 apps to change the settings, the one app will make sure all smart home devices work the same way. Not only does this eradicate the need for 10 apps that have the same user interface, it also makes the home work as one. The iPhone will allow users to lock the garage door, dim the lights, turn the audio system off and turn the thermostat down to low in one tap, at least this is what Apple is hoping will be achievable through HomeKit. It is interesting to see Apple making a control move on the smart home market, after Google acquired Nest Labs for $3.2 billion Apple might have seen the market developing and wants to control all things working on the iPhone. This is a good move, considering the unorganisation of smart home devices on Android and iOS is pretty bad. This could spur on new developers to add HomeKit to their application, especially if we see major adoption of HomeKit’s app when iOS8 is finally available for consumers. Each app might offer something special that needs to be done in the app, but for setting a time for all smart home devices the iPhone hub will be less of a time sink.